The March 2016 Carbon Emissions Index (CEDEX®) Report by pitt&sherry; and The Australia Institute (TAI) indicates that electricity generation continues to be the greatest contributor to emissions, principally through black and brown coal generation, while gas generation decreased slightly and renewable sources remained relatively unchanged. The use of black coal generation has increased slightly, but has been offset by decreases in brown coal. Renewable electricity has increased to 13.1%, in the short term caused by increased generation by Snowy Hydro, and over the longer term attributable to growth in wind generation, although that is currently at a standstill. The three Gladstone LNG plants are likely to increase Australia’s emissions in the order of 0.4 Mt CO2-e from gas consumed to power the liquefaction process, for every 100PJ of coal seam gas supplied to the plants. 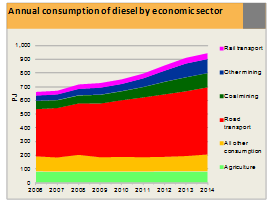 Road transport and mining consumption of diesel increasing at an annual compound rate of 4.6% adding 7.6 Mt CO2-e (1.4% of total emissions). Petroleum and in particular diesel, along with electricity generation, is a significant contributor to the increased growth in emissions with road transport and mining applications producing the weight of the CO2-e emissions. Road transport encompasses truck freight, light vehicles (cars) and buses where diesel is the primary fuel. In mining the major use of diesel is for excavation and in-mine haulage equipment. Most of the rail systems transporting minerals from mine to port are also fuelled by diesel. In Figures 1 & 2 it can be seen that the consumption of diesel via road transport and mining has risen significantly compared to other sectors such as agriculture which has remained relatively flat. 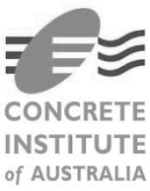 According to the most recent data published in 2015 for the preceding financial year by the Bureau of Infrastructure, Transport and Regional Economics, the total Australian road freight increased at an average compound rate of 2.6% p.a. between 2005-06 and 2012-13. By contrast, road transport diesel consumption shown in Figure 2 grew by an average annual compound rate of 4.6% over the same period. Even if it is assumed that there was no increase in road freight efficiency over this period, the difference indicates a major shift from petrol to diesel as a fuel for light vehicles. 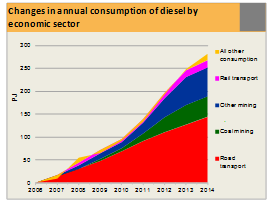 The mining industry has contributed some 49% of diesel consumption, increasing in the order of 125% since 2008. 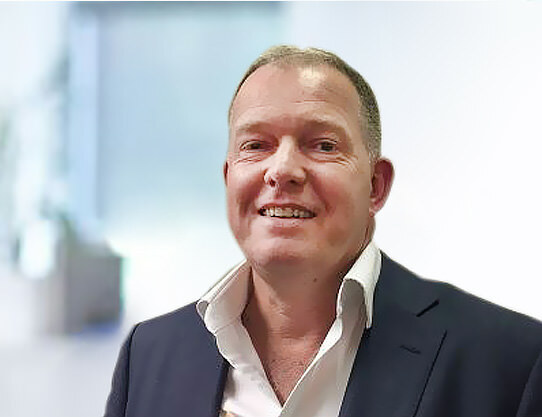 Dr Hugh Saddler, Senior Principal – Energy Strategies at pitt&sherry, said that “The shift by new car purchasers to diesel engines in recent years has certainly played a part in emissions reduction, but the increased number of vehicles may have offset that advantage. 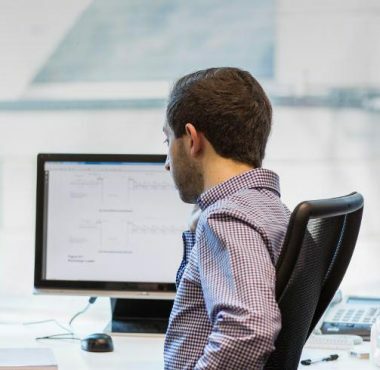 According to Matt Hyatt, Group Executive –Victoria of pitt&sherry “The data clearly demonstrates the trend towards diesel usage in light commercial vehicles and an increase in freight and commercial activity. It is important therefore, to look at reducing traffic congestion in the major cities. Consumers are already looking for more fuel efficient engines.